2 sm. 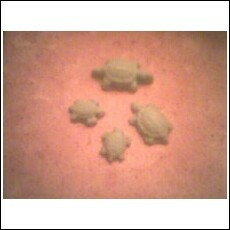 1 med and 1 large turtle tarts. They measure from 1" to about 2".